To many parents today, the idea of exercise for their kids sounds kind of bizarre. In generations past, outdoor play was the natural state of children, only occasionally interrupted by school, meals, chores, etc. Sports were almost the only available or favorable “extra-curricular activity” (though they certainly weren’t called that), and gym class was a given. But these days, with the rise of personal electronics, fast food served in cafeterias, and the reduction of sports programs and physical education, kids are more sedentary than ever. Childhood obesity, once considered an oxymoron, has become a national epidemic, with 15% of kids between they ages of 6-19 qualifying as obese according to their BMI. And that’s not all—weight gain is just the most visible consequence of this disturbing cultural shift. Exercise is a crucial feature in the development of a child’s habits, socialization, and critical thinking as well. 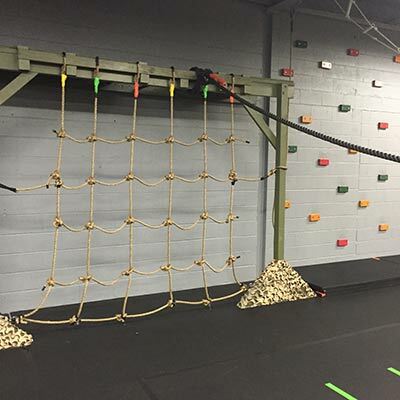 In addition to general physical fitness, these are the touchstones of our Junior Boots program at Hot Ground Gym, which aims to reintroduce the rewarding challenges of cooperative play to the childhood experience. Like our adult programs, the Junior Boots program aims to vitalize and invigorate the mind and body through “missions,” rather than repetitive activities. Kids are engaged right away with the promise of a variety of fun activities such asobstacle courses, rope swinging,wall climbing, and more. We also provide more mentally stimulating challenges to encourage teamwork, leadership, and creativity. These typically involve assembling tools, vessels, or messages using seemingly unrelated objects. All of these different activities are just designed to facilitate the kind of creative play that kids do naturally, while also encouraging them to take on roles and challenges they might avoid on their own. The advantages for childhood exercise are numerous. Studies have shown that kids who exercise are not only healthier, they also have better grades and attendance in school, sleep better, have lower stress levels and higher self-esteem, and socialize more. 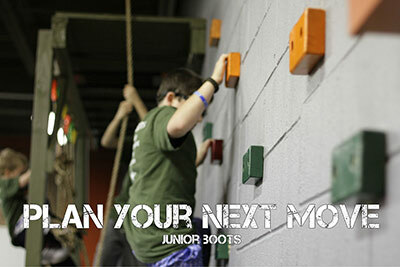 If you have ever felt like your son or daughter is spending too much time in front of the screen, consider signing them up for our Junior Boots program. 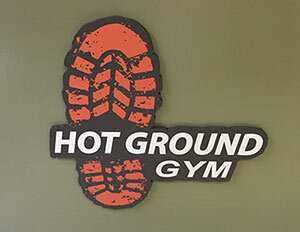 At Hot Ground Gym, we recognize the value of play for both adults and kids, so you and your child can have the childhood you always wanted.